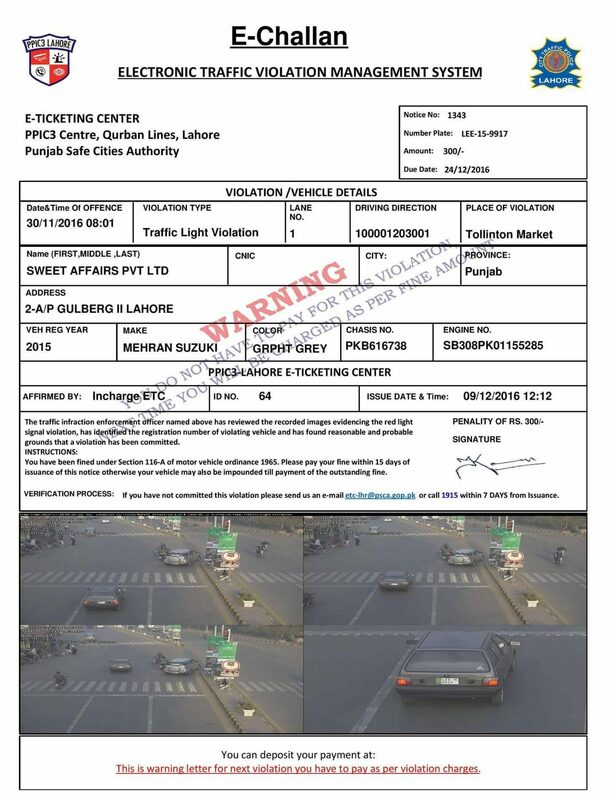 Your days of reckless driving on the streets of the provincial capital are over as the Punjab Safe Cities Authority has introduced the e-Challan in Lahore. 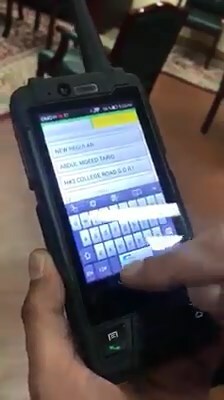 According to a video uploaded on the official Facebook page of the GOP, the ANPR cameras that have been installed all over the city shall be used to identify traffic violators. 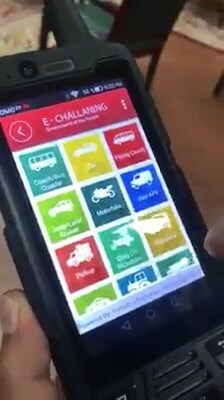 Following their identification process, the e-Challans shall then be dispatched to the home address of these violators. 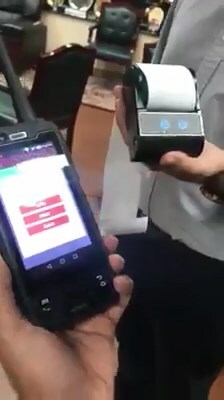 These electronic tickets come with the upgraded facility of paying fines via Internet through online banking with the click of a button instead of standing in long queues for a significant part of the day. However, repeated violations will also result in revoking of the offender’s driving license. 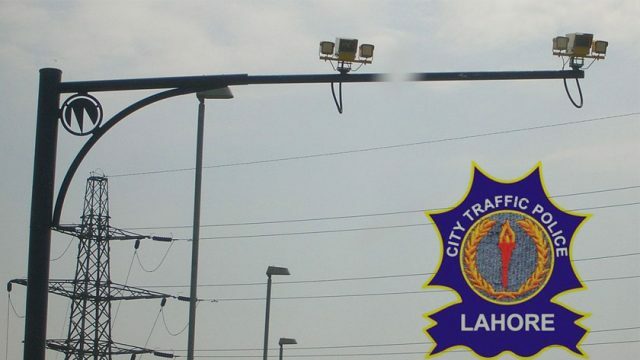 Almost 90 traffic wardens stationed at different points in the city shall be provided with smart machines, referred to as 4G Multipurpose Handsets, whereas a total of 350 of these devices shall be made available to the Lahore Traffic Police for the purpose of e-ticketing. Over 300 patrolling officers and 40 sector in-charges will also have access to these devices by the end of December 2017. 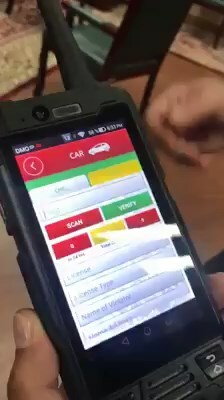 It was further made clear that the smart machines shall be linked with the Anti-Vehicle Lifting Staff (AVLS), and the Driving License Issuance Management System (DLIMS). 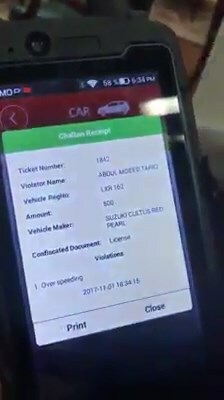 While addressing the general public through the same video, Punjab Safe Cities Authority Chief Coordinating Officer (COO) Akbar Nasir said that Lahore shall be the first city in the country where the e-ticketing system shall be implemented, further stating that this system of issuing tickets shall be later expanded to include other cities of the province as well. He also went on to state that an important purpose of introducing this system was to tackle corruption and to ensure transparency in the process of issuing tickets whenever traffic rules get violated. 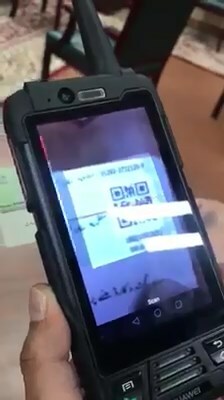 Nasir stated that the payments of the fine can be done through ATMs or online banking as well along with submitting the amount in any branch of a particular bank. 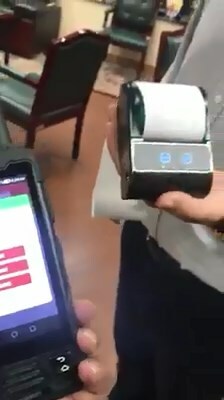 Though the entire mechanism seems quite advanced, only time shall reveal the efficiency (and flaws) of the newly introduced e-ticketing system. A Perfectionist who happens to be a bibliophile, loves travelling and binge-watching, and spending time with his pet Alexandrian parrot.